We've had a hard week. It rained a lot, a few of us were sick, schedules were a bit crazy, our house was all discombobulated with painters here working, and I felt completely crazed and frustrated. We've talked a bit about anger here before and I've shared 8 strategies I use to help when I feel angry as a parent. Over the past year my emotions have been all over the place as I have been completely sleep deprived while adding a new baby into the mix of our crazy family. Now the baby is almost one and walking everywhere and life doesn't seem to be calming down or getting any easier. I hate feeling overwhelmed, out of control, and frustrated with my kids. Lately our days go pretty well and then they begin to spiral downward at bedtime and we all end the night really sad because I've yelled or said something I didn't mean in response to an irrational or overtired kid. 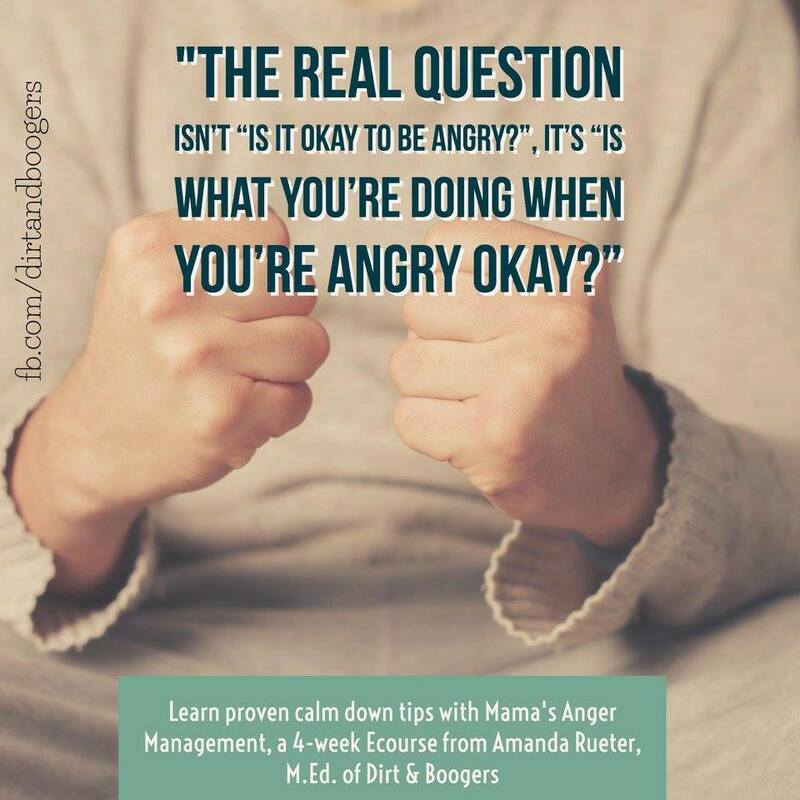 My friend Amanda over at Dirt and Boogers likes to remind moms that, "The real question isn't, 'Is it ok to be angry?' It's 'Is what you're doing when you're angry okay?" For me the answer lately is "no." I stay up late after I've put kids to bed and I review all of the things that went wrong with the day and I worry that my kids are going to hate me when they grow up. I also worry that they aren't going to be prepared to be successful in future relationships because I am such a terrible example for them sometimes. Last night I went to a parenting workshop and the speaker also brought up anger management. She said that it is critical for parents to practice proper anger management techniques so that your kids can follow your example. Curbing anger will also help you set up a positive home environment that will help kids feel more secure and comfortable. Not only was I reminded that I need to be more positive, but I was also reminded that for every negative interaction, I need at least a few additional positive interactions to keep our relationship healthy. I have been TERRIBLE about doing this lately, so our family has been suffering! 1. Take a parent time out and try not to communicate until you are calm. I need to be better about this. Instead I stay nearby when I am angry and just keep feeding the problem by talking too much, yelling, and eventually saying things that I regret. It takes self control to close my mouth and move away from the situation... and I am working on doing that. Heavy work is actually soothing/calming. Sweeping the floor or doing the dishes can help me calm down. Going on a run is one of my favorite ways to decompress when I am angry... but sometimes I am stuck in a house with 4 grumpy kids and it is late, so instead doing quick jumping jacks or something else like that can help shift my mood a bit. Taking a bath or shower and just getting in water can help me decompress. Grumpy kids can splash in the sink or take a bath too to regroup. 4. Do something that is mentally hard for you. Doing a mentally challenging task, like reciting the alphabet backwards, can help distract you a little bit from your big emotions and help you think of other things so that you can begin to calm down. I am totally going to start trying this one to see if it works for me. In addition to trying some of these basic anger management ideas, I've determined that this year is my year to work on being a kinder and more patient mom in a more serious way. It is getting out of hand and significantly impacting my relationships with my kids, so I am going to do something about it! 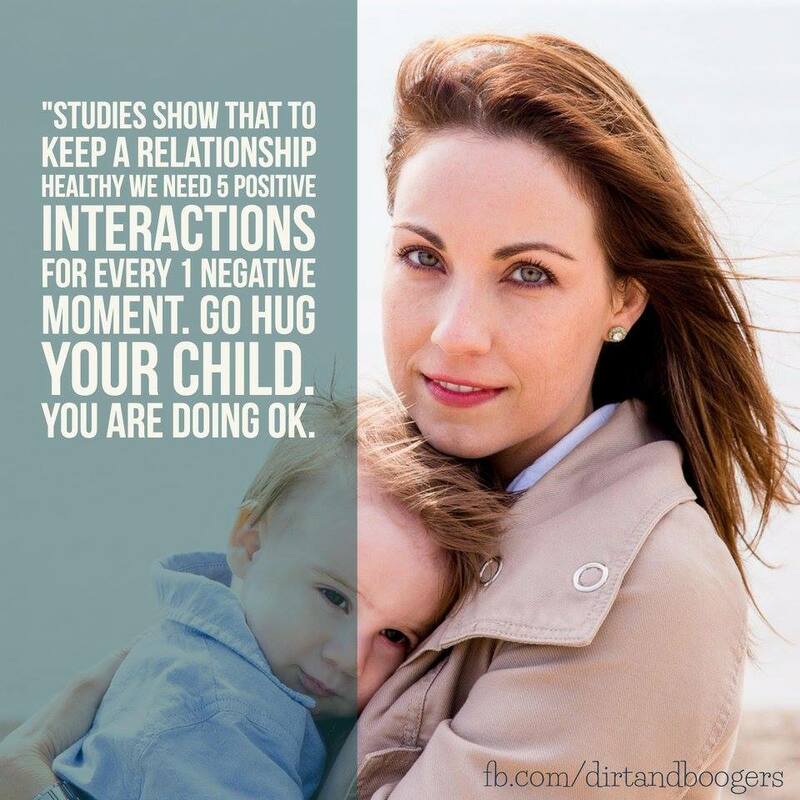 My friend Amanda is hosting an online Mama's Anger Management course and I am taking it! It is time to get my anger under control so that I can be a happier and more effective mom. I've noticed that my kids have been more angry lately (copying me) and I want to stop it now before it spirals and becomes a habit that is too hard for all of us to break. If you want to join me and take the course too. Here are some details about it. 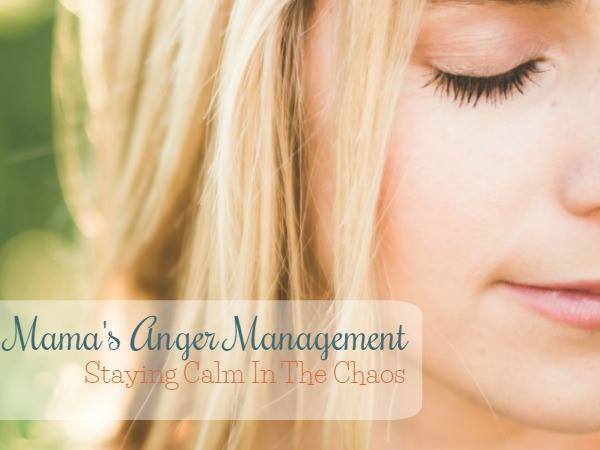 Mama’s Anger Management is a 4 week eCourse that will give you the tools to stay patient and calm among the chaos of raising kids. Discover what's behind your anger. Learn to calm down when emotions are high. Harness the power of a well said apology. 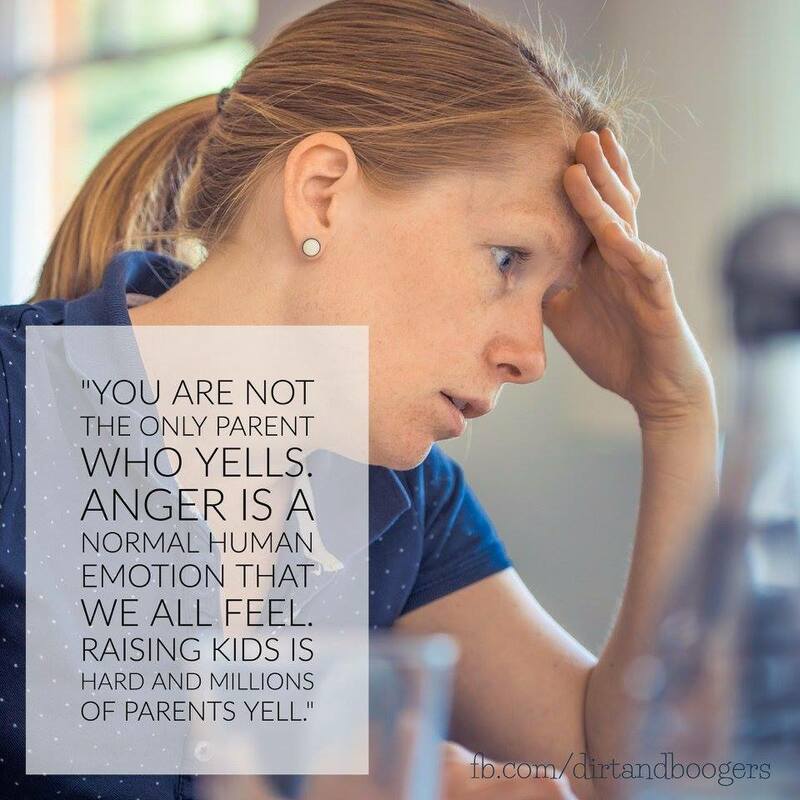 Learn how to stop exploding at your children in anger. Find joy and peace throughout your daily life with kids. Build a calmer happier home with your family. There are more details about Mama’s Anger Management HERE. So go check out the different packages that Amanda offers and see which one might work for you. The class begins on JULY 31st, so if you are going to join me, register soon before the course closes. I have been waiting since the Winter for the course to become available, so I can't wait! If you have any questions about the course, pop over to her website or just message me and I will try and find out any answers for you too. Amanda also has loads of free resources for parents over on her site Dirt and Boogers and I use them all of the time... so I am really excited for her additional wisdom and guidance as we get this course started. Hope some of you will join me! I can't wait to make this a kinder and happier year for our family and I know a huge chunk of that starts with me!